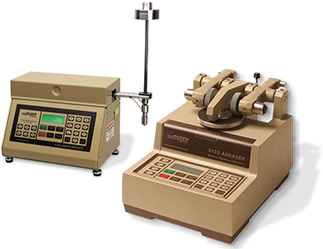 The TABER® Bayer Abrasion Test Kit is used with the Oscillating Sand Abrasion Tester to replicate normal abrasion on the front of ophthalmic lenses. This test is applicable to all plano lenses, and compares the specimen to a control lens. The Bayer Test compares the abrasion generated on a test lens against an ISO Reference Lens (uncoated CR-39® lens). Both lenses are mounted in a special Bayer Test lens holder that allows the curvature of the lenses to protrude above the bottom of the tray. 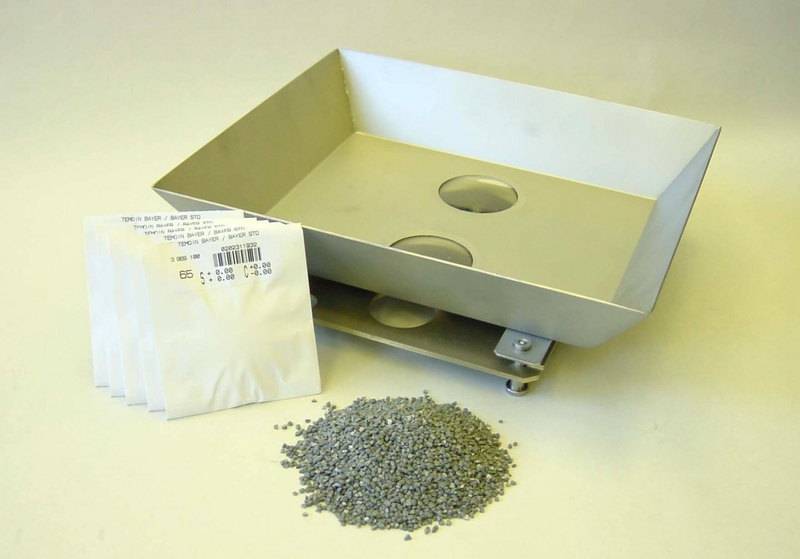 A standardized abrasive media referred to as Alundum® ZF-12 is into the tray. The tray is reciprocated in a back-and-forth (to-and-fro) motion a distance of 4 inches, at 150 cycles per minute for 4 minutes. Following the test, two lenses are removed from the tray and the amount of abrasion is measured and compared. The degree of abrasion is measured by the amount of change in haze as measured by a hazemeter. A ratio that compares the increase in haze of the test lens to that of the ISO Reference Lens provides a measure of how much more abrasion resistant the test lens is compared to an uncoated lens.